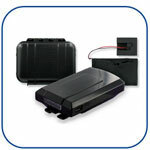 Our portable GPS vehicle trackers are self-contained battery powered devices, which are powered through either an internal or attached extended battery pack. Portable GPS trackers provide a number of advantages, though the primary disadvantage is that the battery will eventually need to be recharged. However, these devices are ideal for discrete use. Excellent For Covert Use: Portable GPS trackers are small and easily hidden from view, making them perfect for covert uses. When Portability Matters: Portable gps tracking devices are pretty versatile. They can easily be moved from vehicle to vehicle, placed in a package, or even used to monitor and track something of value. If you have access to the passenger compartment area of the vehicle, you can discreetly place the GPS trackerinside the glove box, under the front dash, seat or even in the trunk of the vehicle. Magnetic GPS tracking cases are ideal for those who do not have access to the passenger compartment of the vehicle and will mount to the undercarriage of the vehicle. When using a GPS magnetic case, it is critical that the magnet attached to the case is firmly attached to a steel portion of the vehicle's underside, but never to the wheel well of the vehicle. PT-10 Live Trac: Our PT-10 series trackers are designed to track every twenty feet, or every 10 seconds when moving over 10 mph. We've even developed mobile applications that allow you to follow these devices from any iPhone or most Android mobile devices. When viewing from a computer, the control panel allows you to playback the route the tracker took for up to ninety days. 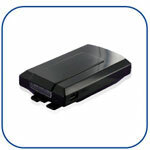 Depending on your needs, we can help you select the GPS tracking device which is best suited for you. Our friendly and knowledgeable consultants are available Monday through Friday, from 7 am to 5 pm PST, call us direct at 1-661-294-6805 with any questions you may have.